Check out these online deals on smartphones across various price segments. As we inch closer to the end of this year, several phone makers are pushing deals on their best performing models. From the popular models to the proven performers, the deals on the smartphones are almost irresistible. That said, it’s easy to fall for deals from unverified or new sellers who don’t have any ratings or a reputation backed by customer reviews. That’s why we pay attention to those tiny details and some more while selecting the best deals on smartphones. Here’s today’s list of top deals on some of the worthy phones. The Samsung Galaxy J6 flaunts a 5.6-inch HD+ Super AMOLED screen, and an 8-megapixel camera with LED flash. The phone runs Android 8.0 Oreo, and an octa-core Exynos 7870 Octa chip powers it. The Galaxy J6 is selling for Rs 12,990 on Amazon India, and you can exchange a working phone to bring down the price further. Nokia 8 Sirocco is still one of the best-looking smartphones with its 3D Curved Gorilla Glass sporting screen made of 5.5-inch Quad HD pOLED display. A die-hard Nokia fan should pay heed to this phone running pure Android version and ticks most boxes. The Nokia 8 Sirocco is selling for Rs 34,800 on Amazon, and opting for the exchange offer can bring down its final price. Apple’s iPhone 8 is still quite relevant and competitive hardware packing phone. Multi-tasking, gaming, and imaging are three areas where the iPhone 8 can still deliver great results. It is selling for Rs 54,990 on Paytm Mall after picking ‘MOB4500’ promo code to get Rs 4,500 cashback. The fans of portrait selfies should find the Huawei P20 Elite endearing and easy-to-use. The phone’s 24-megapixel selfie camera along with 3D Portrait lighting and low-luminance photography support aims to impress. The stylish P20 Lite can be yours for the selling price of Rs 16,999 on Amazon India. The Moto G6 Play equips a 5.7-inch Full HD+ display, and has a glass-like coating to protect itself from scratches. The phone packs as 4,000mAh battery that can make it run for about two days. Also, it supports TurboPower fast charging, and is going for Rs 8,789 on Paytm Mall. You’ll need to select the ‘MOB12’ promo code to get Rs 1,199 as cashback. Google Pixel 2 XL, with a 6-inch pOLED display, makes all the new features of the Android 9.0 Pie update enjoyable. Even the new Night Shift mode for the camera. 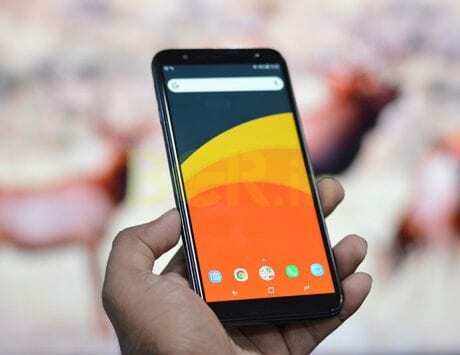 The Just Black variant is selling for as low as Rs 38,990, and is a good option if you don’t want to burn a hole in your wallet to pay for the new Pixel 3 XL. Honor 7X boasts a 16-megapixel+2-megapixel primary cameras at the rear for best possible imaging results. Housing Huawei’s own Kirin 659 chipset, the phone sits in a competitive space. Especially with the latest selling price of Rs 10,799 at Paytm Mall. Make sure you choose the ‘MOBFESTIVE10’ promo code to get Rs 1,200 as cashback.